Dumplings, gyros and BBQ ribs among the new concession items at Nats Park ! The Nationals hosted their annual ballpark tour for food-deprived local media on Tuesday to showcase what’s new at Nationals Park in 2016. There will be no shortage of new concessions, including a wider variety of offerings on the Gallery (300) Level. Two Mike Isabella concepts — Catchfly and Kapnos at the Park — will open behind Section 301. Catchfly will feature Southern-style cuisine, including a hot chicken sandwich, St. Louis BBQ ribs, coleslaw, popcorn chicken with three homemade sauces and waffle fries. Kapnos at the Park, a take-off of Isabella’s Greek-themed restaurant, will offer several different kinds of gyros, including falafel, fried chicken and chili cheesesteak, as well as fried Greek potatoes, tzatziki and hummus. A second location of the Virginia Country Kitchen stand that debuted last season will open in Section 315. On the Mezzanine level, Shake Shack was expanded to occupy the space previously occupied by El Verano Taqueria, which was moved to a stand behind Section 233. Shake Shack will also feature an e-cash line for Nats Plus members, which could mean that fans will only miss half an inning while waiting for their Shack Stacks instead of a full inning … or more. Pour a sweet tea out for Hard Times Cafe, a staple at Nationals Park since it opened in 2008, which will not be returning for 2016. Haute Dogs and Fries, one of two winners in the Nationals’ pitch-your-product contest, will move into Hard Times’ old space in the left field plaza beyond Section 106. Haute Dogs’ Nats Park menu will include four different styles of hot dogs (including a Banh Mi dog), lamb sliders and tater tots. Pinch Dumpling, the other winner of the pitch-your-product contest, will offer three different kinds of dumplings (beef and onion; pork and cabbage; cabbage and carrot) in Section 302. Six dumplings (steamed or fried) will cost $10 and come with a side of Asian slaw, Daikon salad or fried peanuts. Thirsty yet? The re-branding associated with the Nationals’ switch from MillerCoors to Anheuser-Busch was on full display. There will be a pregame happy hour deal at the Budweiser Terrace, the area behind the center field scoreboard previously known as the Miller Lite Scoreboard Walk. From the time the gates open two-and-a-half hours before first pitch until 30 minutes before first pitch, beers at the Budweiser Terrace bar will be $5, which is $1 cheaper than last year’s deal. Only Anheuser-Busch beers will be included in the happy hour deal, but MillerCoors products will be available elsewhere in the park. Fear not, there will still be craft beer. 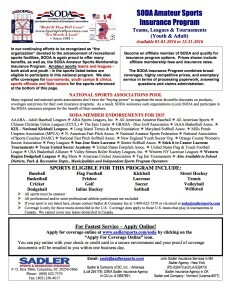 In fact, the District Drafts program will be expanded and there will be at least one additional District Drafts stand (up from four last season). The four taps at each stand will include a rotating selection from Port City, Atlas, Mad Fox, 3 Stars, D.C. Brau and — new for 2016 — Old Ox Brewery in Ashburn and Heritage Brewing Co. in Manassas. Beer prices throughout the park will be unchanged from last season, with the exception of the greater happy hour discount. Jewish-style deli sandwiches, including Reubens, veggie Reubens and corned beef on rye, as well as a “babka” ice cream sandwich. An expanded menu, including a vegetarian buffalo chicken wrap, vegetarian chicken empanadas, vegetarian beef tacos, vegetarian chicken salad sandwich and a portobella Reuben. 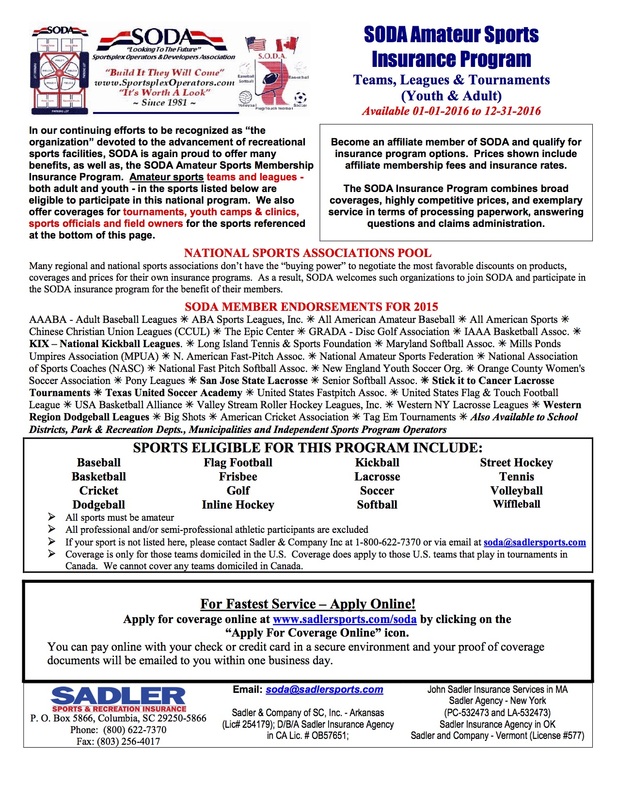 SODA Amateur Sports Insurance – For Teams, Leagues, Tournaments, Officials & Field Owners . . . ! Vegan Nachos, Wicked Pig among Rangers new concession items ! Vegan Nachos, Wicked Pig among Rangers “New” Concession items ! ARLINGTON, Texas – There’s now something for everyone at Globe Life Park in Arlington. The Rangers have been busy in the off season expanding its vegan concessions menu and beefing up other fan favorites. Delaware North, the company that provides the food at the ballpark, announced a selection of new items that will be available on opening day. There will be an all-new portable cart that offers nothing but vegan and healthy snacks that do not contain any animal bi-products. The menu includes a black bean burger, vegan nachos, vegan hot dog, vegan jerky, vegan chili, vegan spinach wrap, fresh salads, fruit and more. But meat lovers will not be left out. The new Wicked Pig sandwich puts pulled pork, bacon, sausage, prosciutto, ham and BBQ sauce between two Hawaiian rolls. The stacked sandwich is paired with pork rinds and cole slaw.There’s a new chicken and donut skewer on the menu. All 12 inches of fried chicken and donut holes will be drizzled with sweet and spicy buffalo honey sauce. The newest hot dog on the menu will be topped with Flamin’ Hot Cheetos and there’s a new pub-style pretzel that will be served with beer cheese. The Rangers play their first game against the Seattle Mariners on April 4. QUALITE SPORTS LIGHTING’S PRO SERIES TO LIGHT ELLICOTT HIGH SCHOOL FOOTBALL FOR THEIR FIRST-EVER NIGHT GAMES ! Qualite Sports Lighting was selected by Ellicott High School officials in Calhan, CO to provide their first “Friday Night Lights” experience this fall. Ellicott High School is located in the heart of the eastern slope of Colorado with a view of Pike’s Peak to the west, and rolling hills of grassy plains to the east. For their first-ever season of nighttime football games under lights, district officials selected Qualite’s Pro Series Lighting System to meet their energy efficiency needs, while also fitting their budgetary considerations. With thirty 1650 watt fixtures, the newly-lit football field will provide 30 foot candles of quality light to the playing surface. An additional benefit for district officials is the ReQuest automatic Remote Control Wireless System. “We are excited to work with Dave Snellstrom of SEC Contractors to install this exciting project, just as he did a nice job at Dutch Clark Stadium. Big or small…retrofit or new construction… we have the right lighting solutions for customers in Colorado and across the US. The “Friday Night Lights” experience is great for athletes, fans and the community. Qualite is proud to be selected for this important milestone for Ellicott High School”, states Roman Slaybaugh, Qualite Sales Manager. 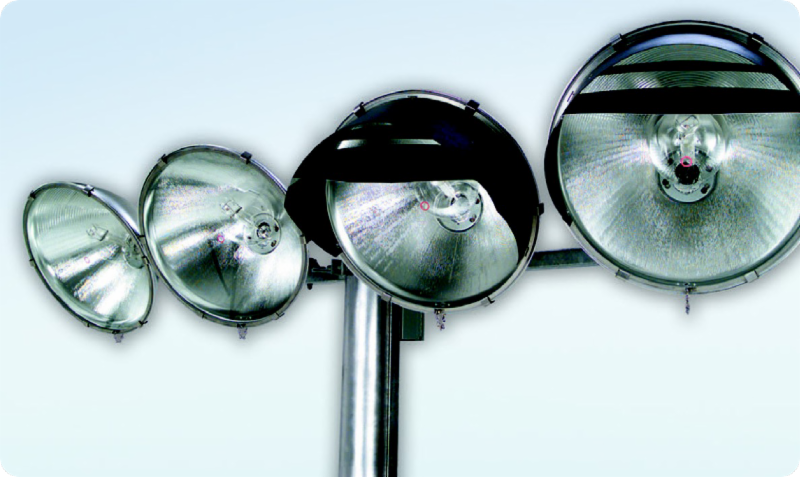 The Pro Series Lighting Systems is a popular choice for lighting high school fields throughout the US. Teamed with the ReQuest Automatic Remote Control Wireless System and it is a winning combination ! Qualite has been the Sports Lighting Partner for High Schools, Colleges, Parks and Recreation Departments, and Minor and Major League Professional Sports Franchises for over 30 years. In addition, Qualite has partnered with an LED Manufacturer to provide the highest quality LED Lighting Systems for sports facilities including retrofits and new construction for University of Phoenix, Minnesota Vikings, High School Stadiums, College Facilities and Park & Rec Fields across the US. Qualite’s Q-LED System is the most Energy-Efficient, Highest Lumen Output LED Lighting Solution in the Sports Lighting Industry. Learn More Contact Qualite Sports Lighting for your sports lighting needs!
. . . . . . . . . [ Check It Out Today ] . . . . . . . . .
County gets tentative date for completion of El Paso Sportspark ! ABC-7’s Andrew J. Polk reports on a new development at county commissioner’s court that could speed up the time frame for completion of the long-unfinished Sportspark. El Paso County, TX commissioners heard Monday that the long-suffering Sportspark project could finally be done April 19. Public Works Director Pat Adauto spoke in the commissioners court meeting Monday morning that a number of inspections were scheduled for this week, including city and contractor walkthroughs. Adauto said Jordan Foster Construction had substantially completed all work, but that any issues arising from the inspections and finishing touches would remain to be done. Commissioners said they were very happy with the progress. Commissioner Carlos Leon said he had been hearing from local leagues wanting to start planning tournaments for the completed Sportspark. TULARE COUNTY FARMERSVILLE RESIDENTS EXCITED FOR NEW SPORTS PARK ! FARMERSVILLE RESIDENTS EXCITED FOR NEW SPORTS PARK . . The countdown is on for residents of Farmersville to see the fruits of their labor and enjoy the new Sports Park Complex. Phase one is expected to be completed in June. It took seven years of planning and nearly a $1 million from various funding sources. FARMERSVILLE, Calif. — The countdown is on for residents of Farmersville to see the fruits of their labor and enjoy the new Sports Park Complex. Phase one is expected to be completed in June. It took seven years of planning and nearly a $1 million from various funding sources (including California Proposition 84). “Everything’s all in to get this done and make something happen for the city of Farmersville,” said Landscape Architect Kay Hutmacher. Hutmacher says phase one will be completed within a few months. 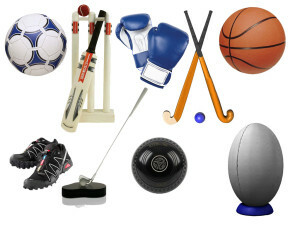 It includes grassy fields for open play and sports like soccer and football, and a natural park with trees, trails, and shaded places to have a picnic. Gomez calls it a working park, one that will benefit the community for decades. Sometime later in June, the community will be welcomed back for a day to help plant trees and shrubs. They’ll also have a day dedicated to building and painting park benches.